The Divo is named after legendary racing driver Albert Divo – and celebrates Bugatti’s ‘coachbuilding tradition’. Just 40 examples will be built, and every single one is already sold. 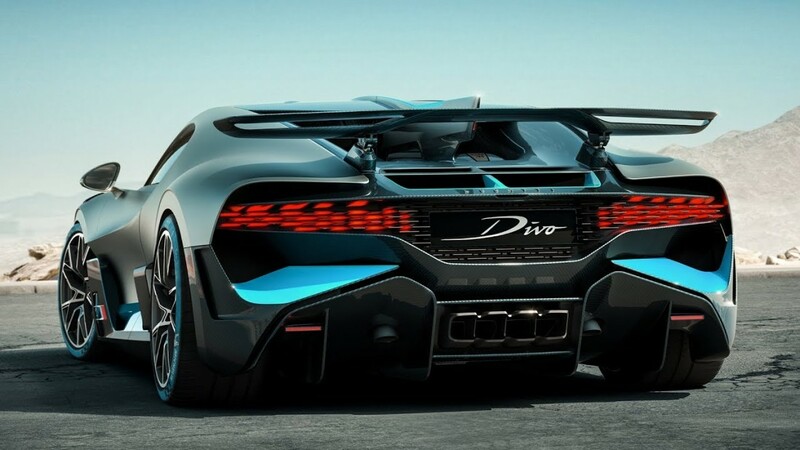 The Divo is designed to be a better drivers car than the Chiron. Bugatti’s boss, Stephan Winkelmann says the Divo is ‘made for corners’ due to a copious amount of dynamic tweaks. It features bespoke bodywork and has a focus on aerodynamics; the Divo gets a totally new front end, the wide front splitter guides more air to the cooling system, air flows through vents in the headlights and out of slats in the front wings and even the roof is designed to create an air duct. On the roof, there’s a flow-optimised air duct, while the rear spoiler is 23 per cent wider than before, and can be set to different angles depending on which drive mode the car is in. The car’s rear lighting graphic is new, too, and features multiple OLED elements. Made up of 44 fins, the lamps are partly produced using advanced 3D printing techniques. Inside, some of the storage compartments have been removed and Alcantara upholstery can be seen on loads of the interior surfaces. There’s a two-tone colour layout that mixes ‘Divo Racing Blue’ with ‘Divo Grey’. Bugatti’s new hypercar is powered by the same 8.0-litre W16 engine as the Chiron, cranking out 1500PS, or 1480bhp in old money, with a top speed limited to 236mph.